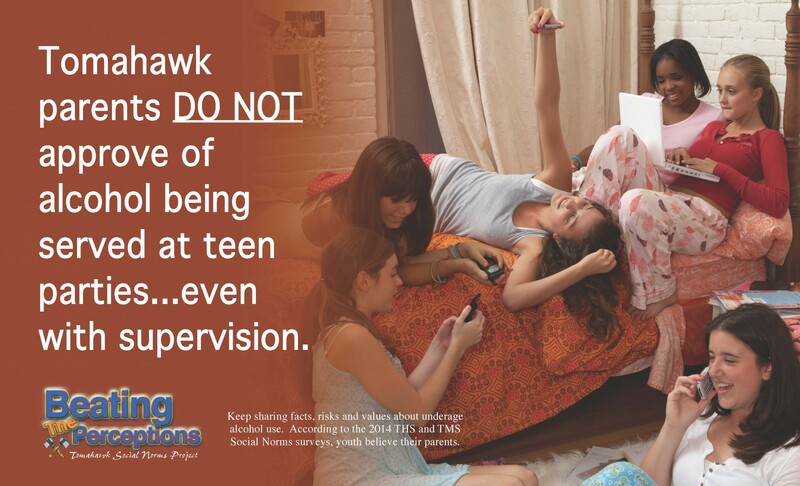 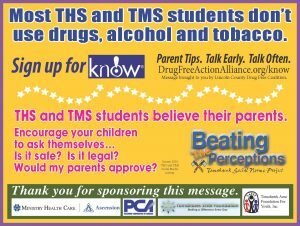 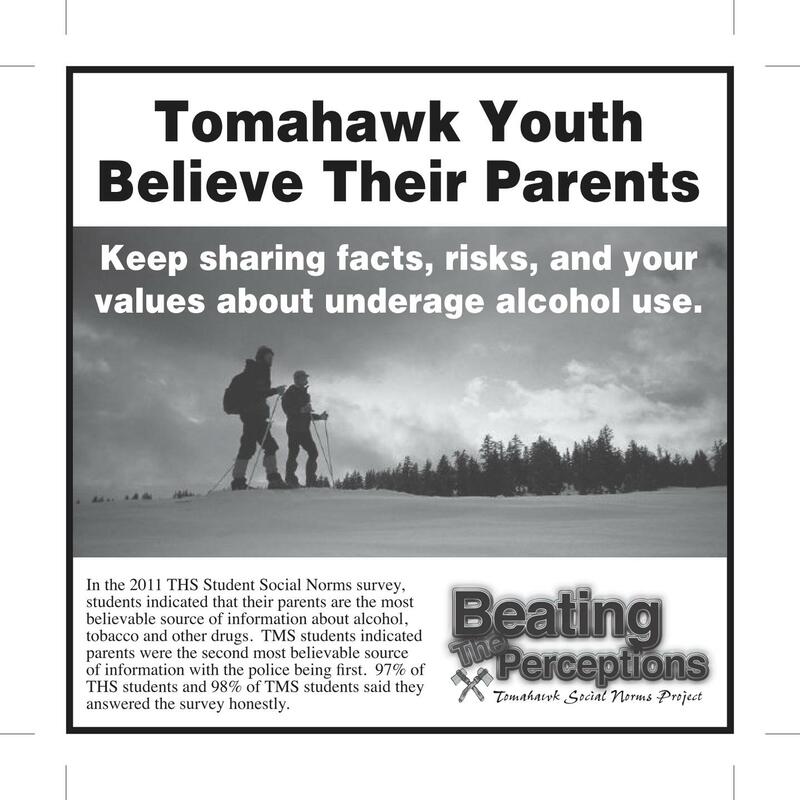 Thank you to Ascension Sacred Heart Hospital, PCA, Tomahawk STAR Foundation, Tomahawk Area Foundation for Youth (TAFFY) and Tomahawk School District for their donations and support of the Tomahawk Social Norms Project. 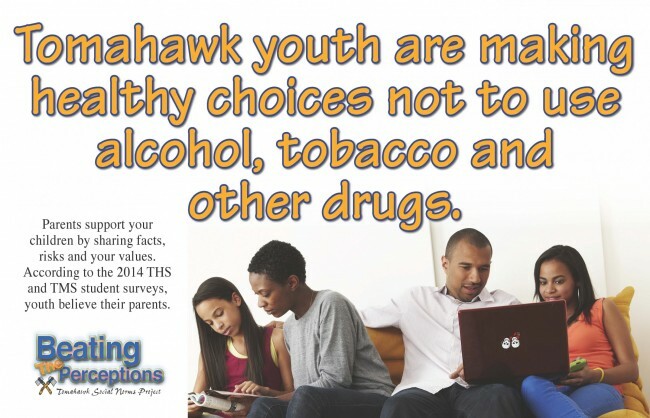 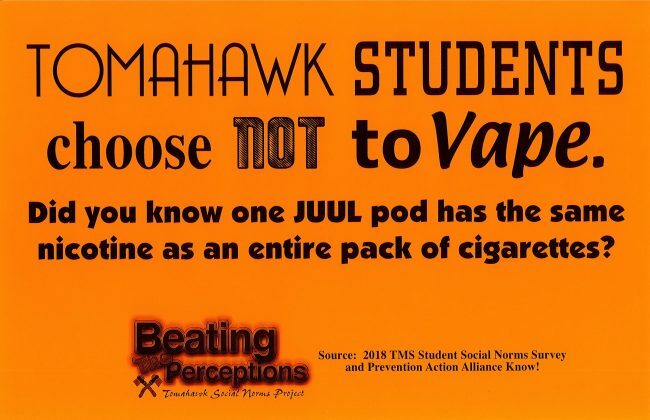 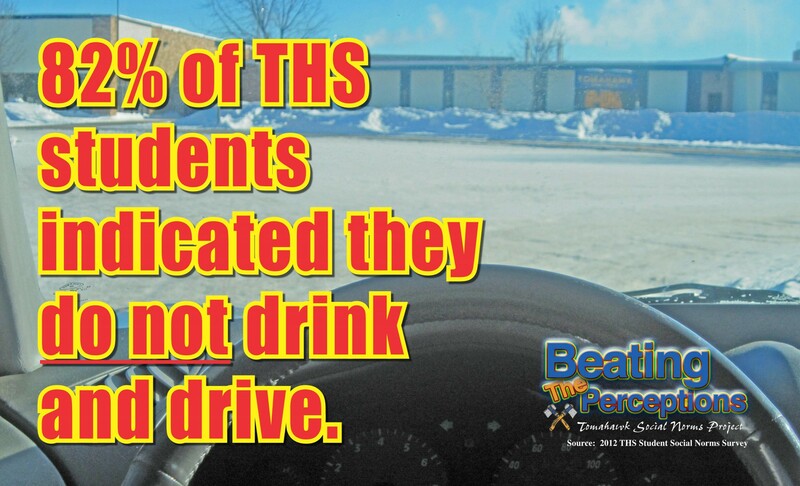 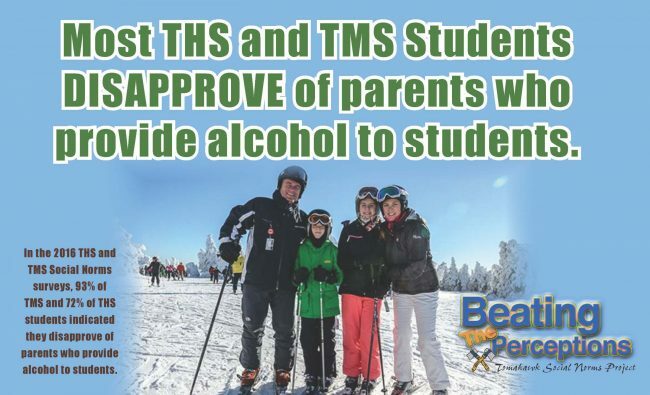 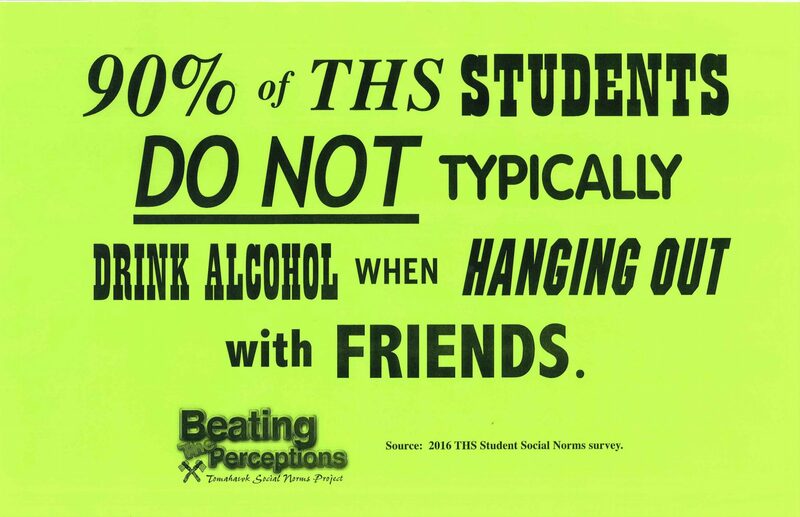 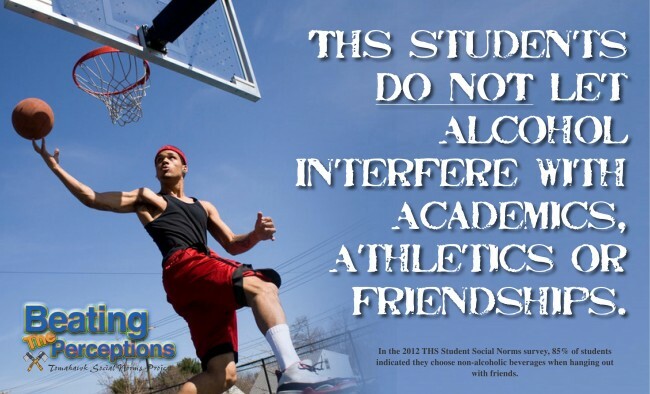 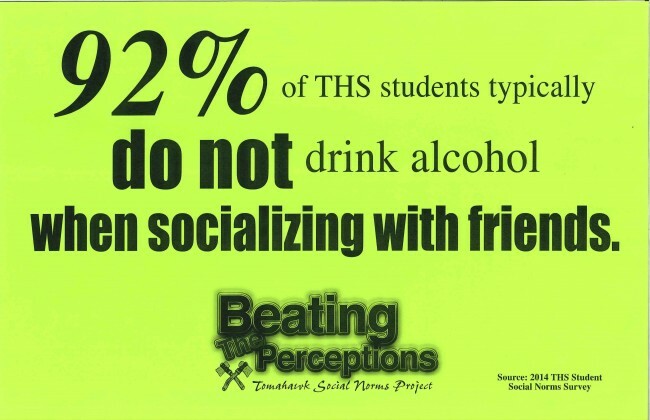 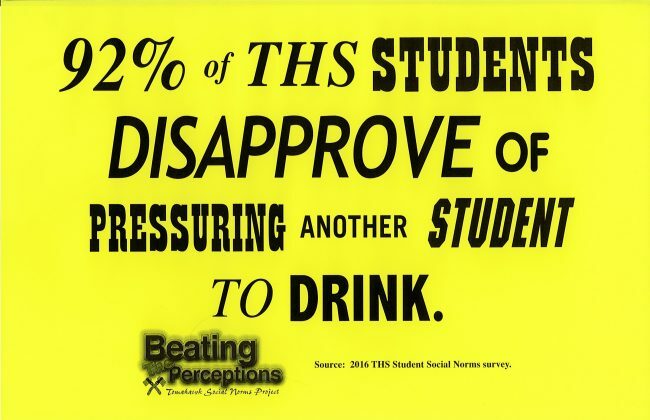 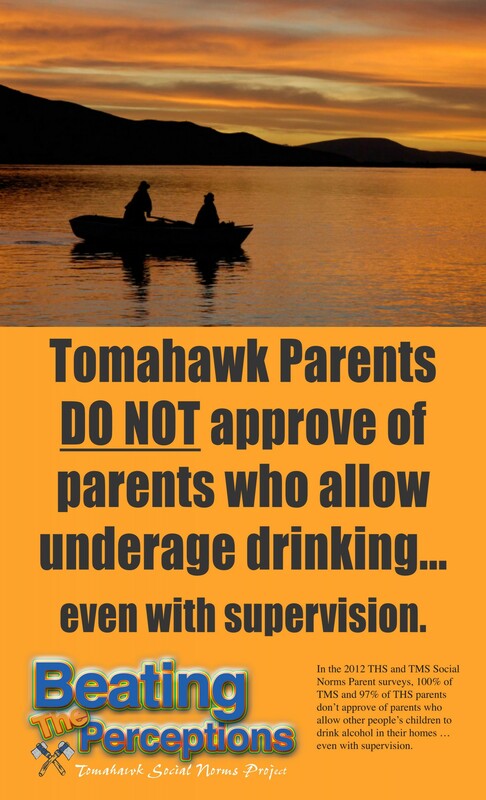 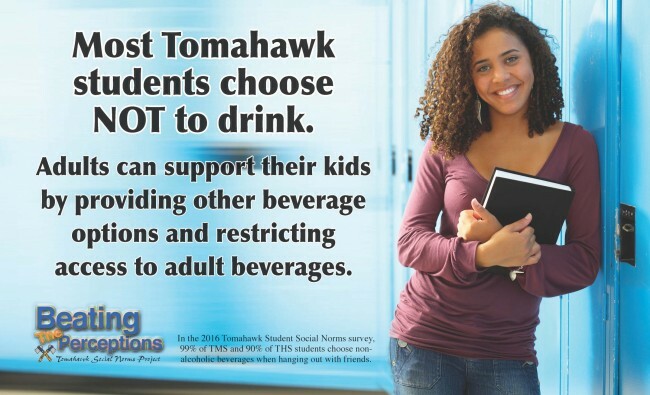 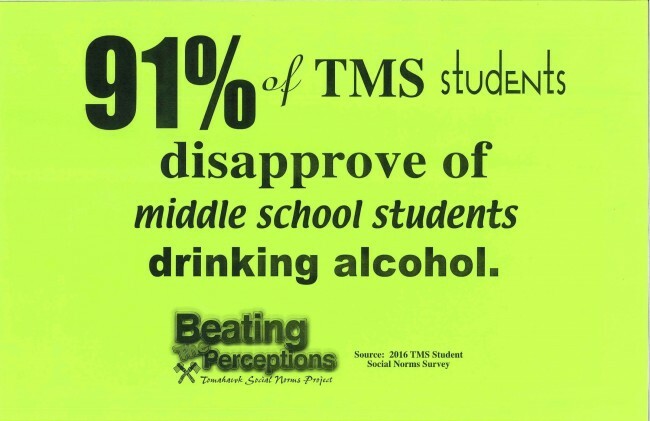 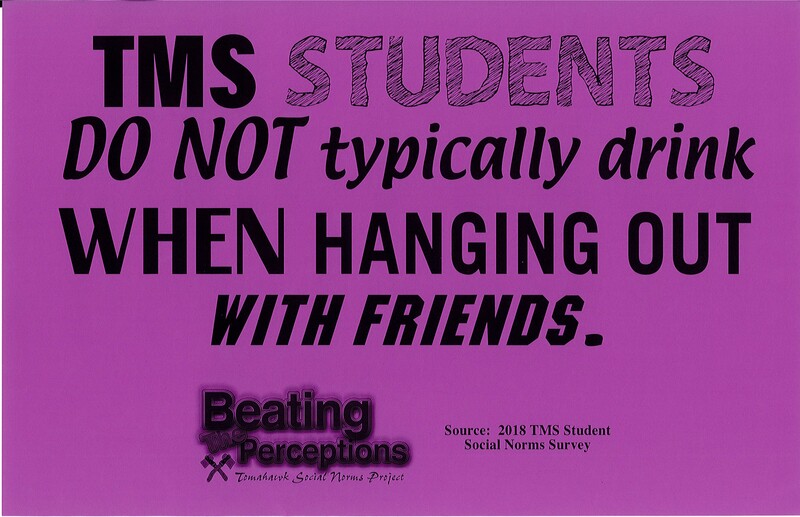 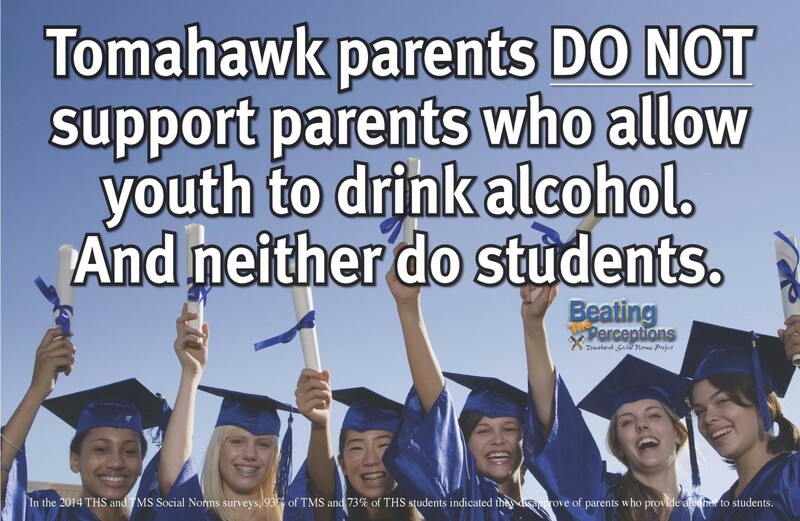 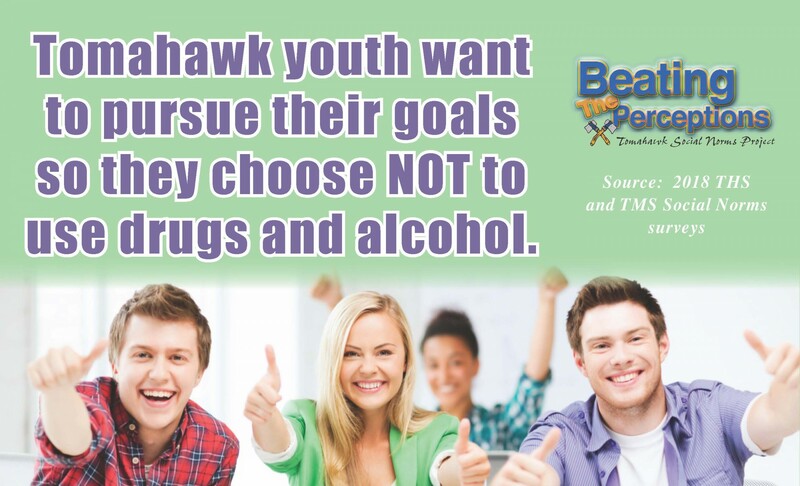 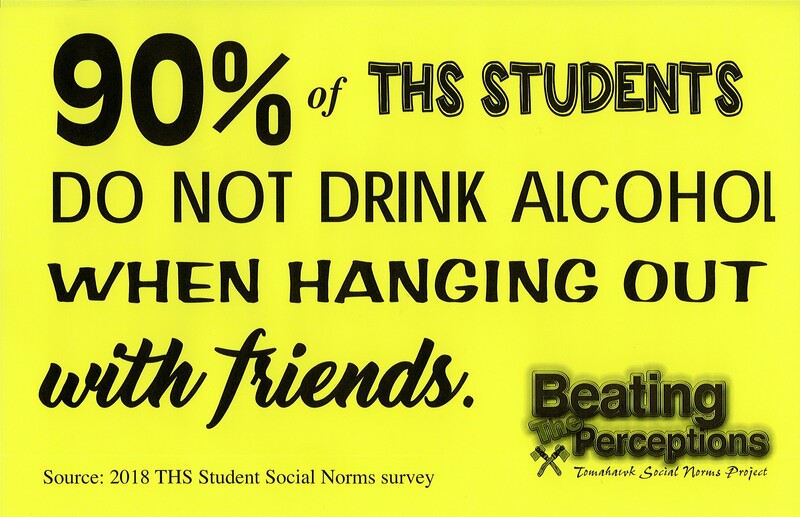 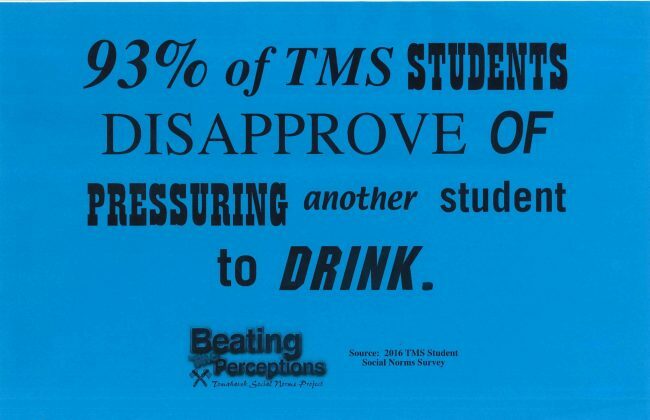 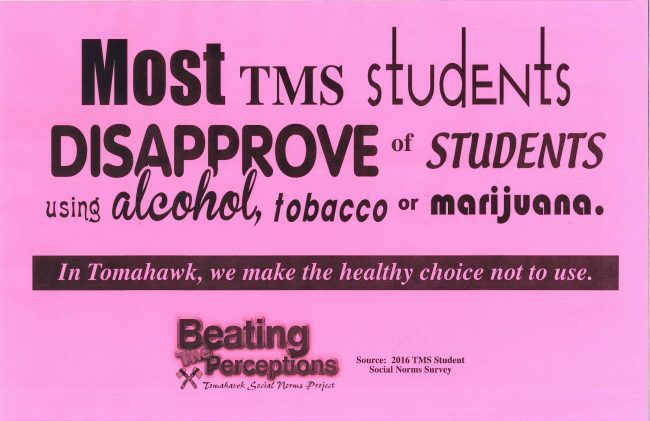 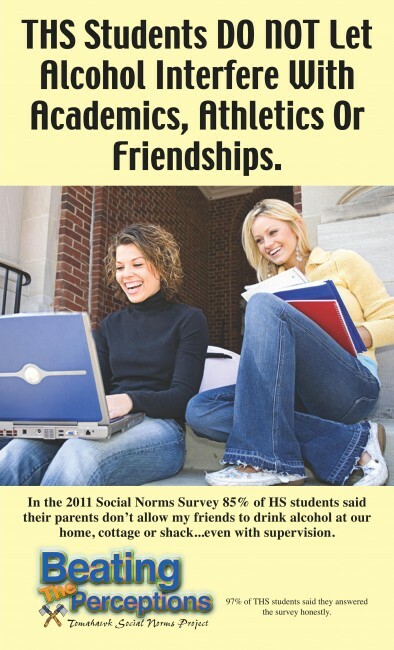 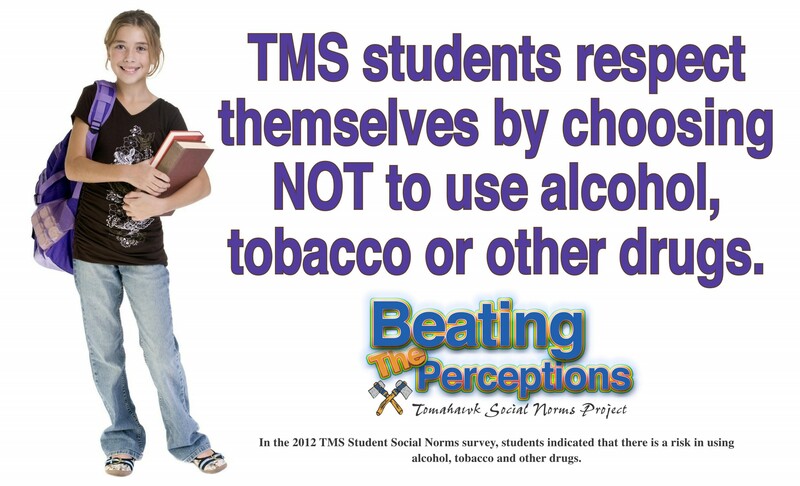 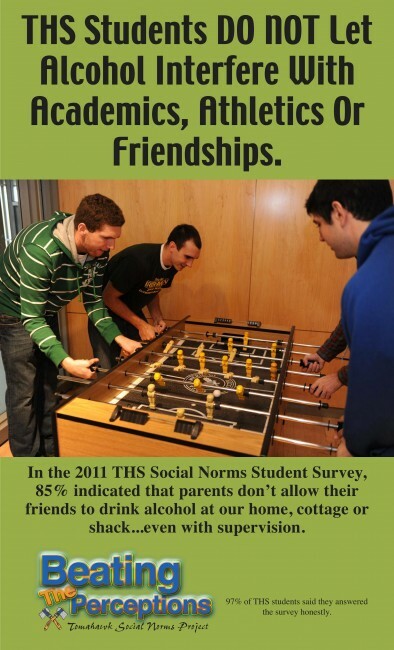 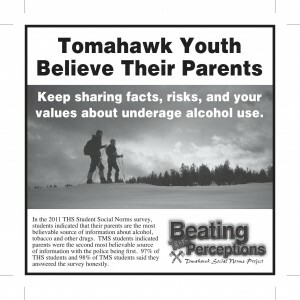 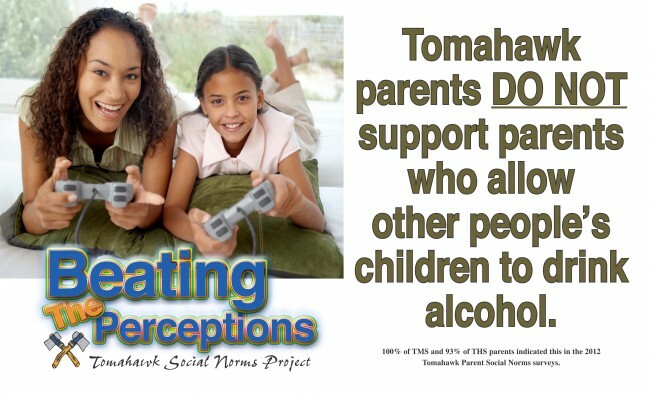 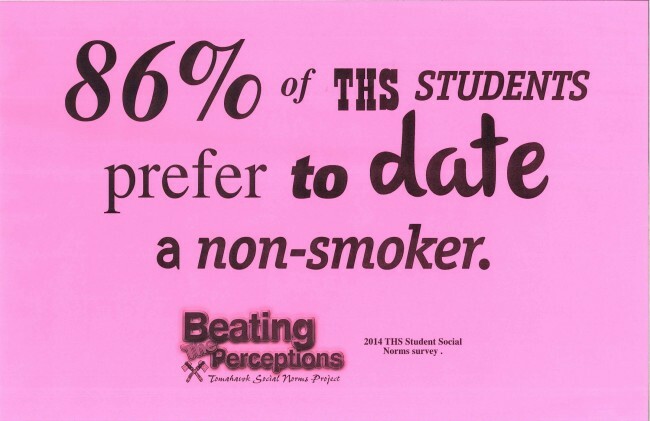 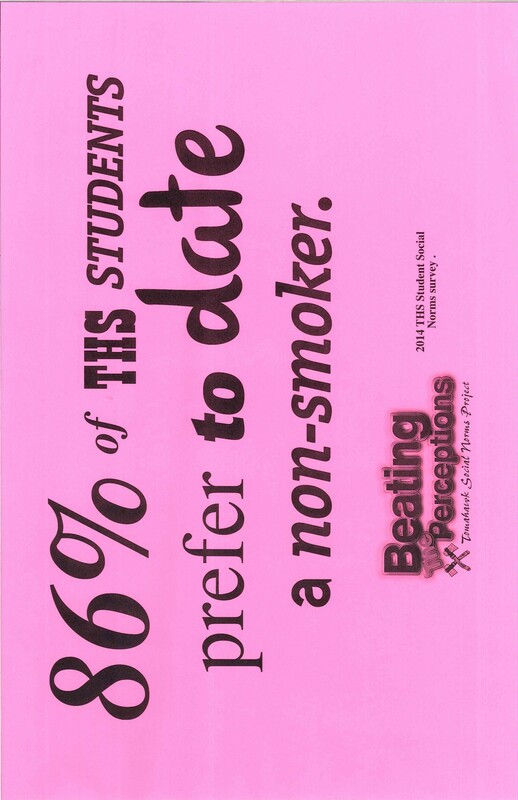 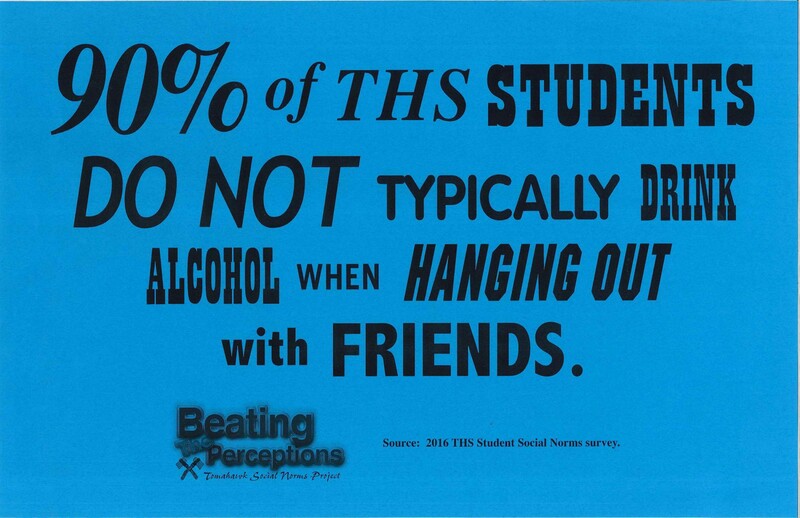 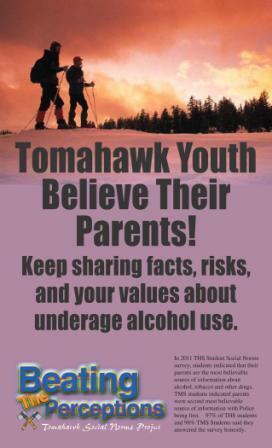 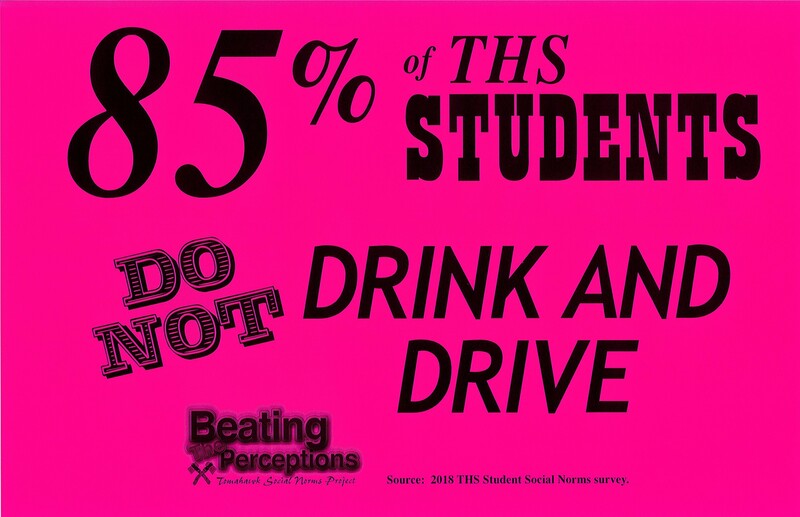 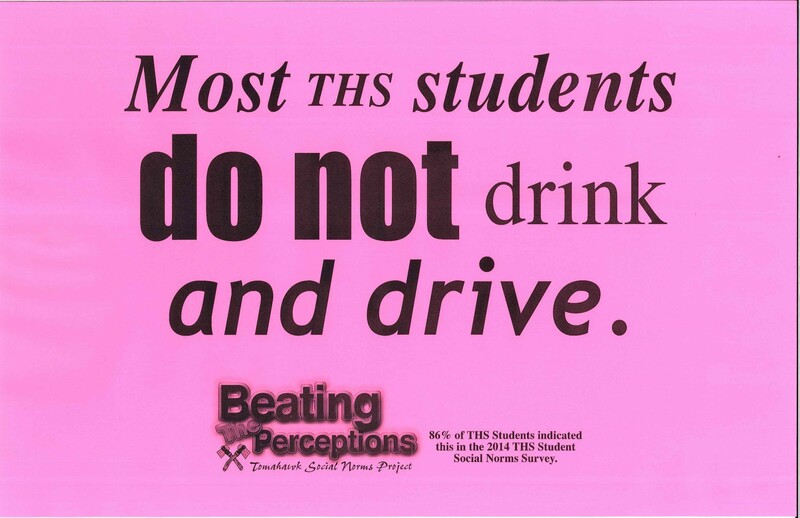 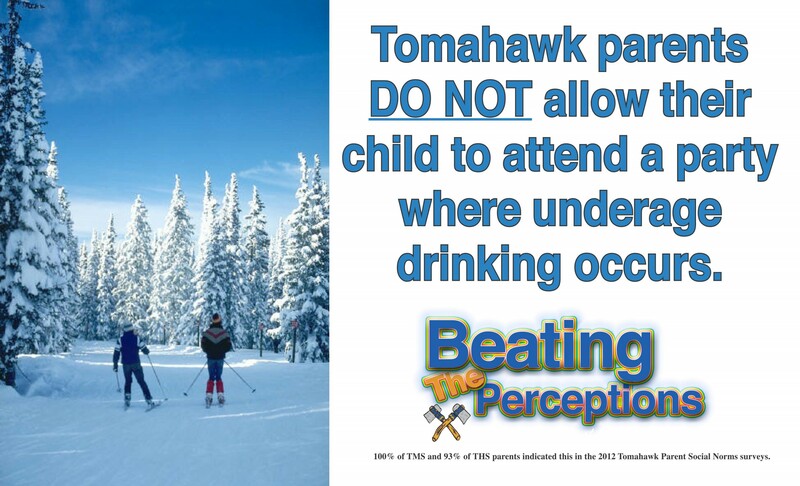 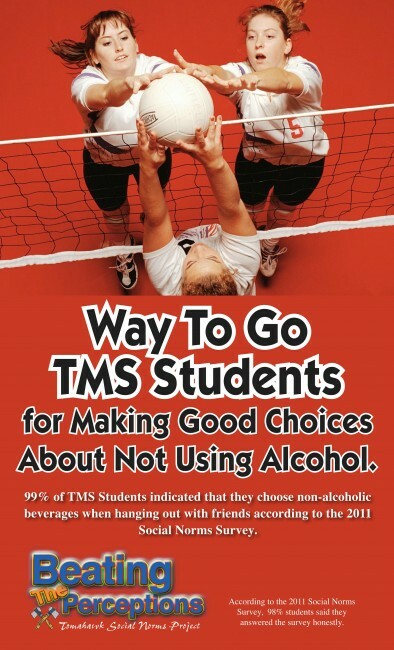 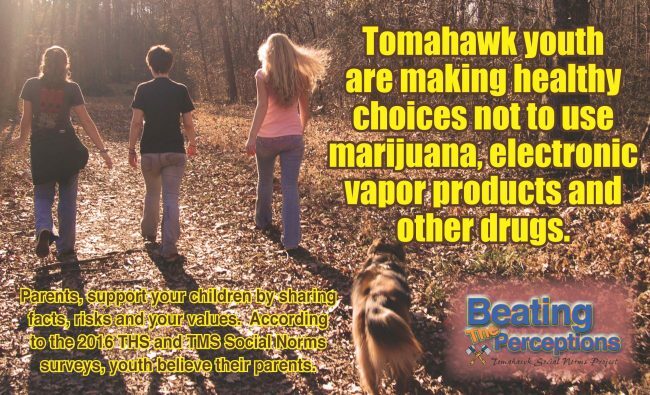 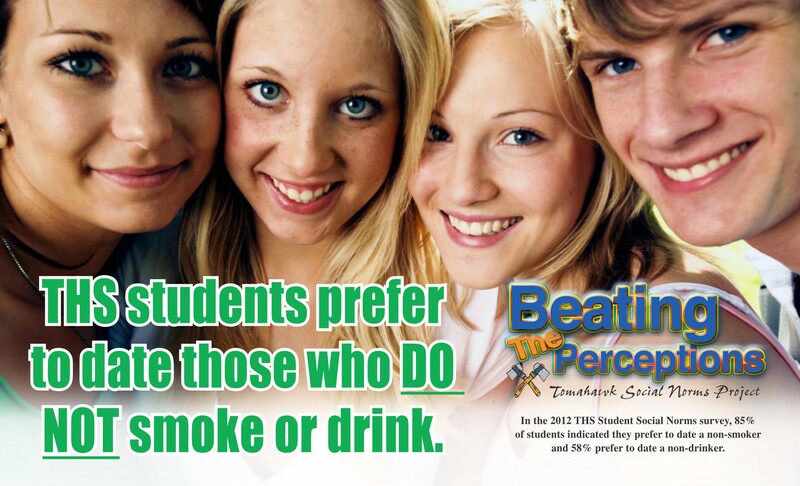 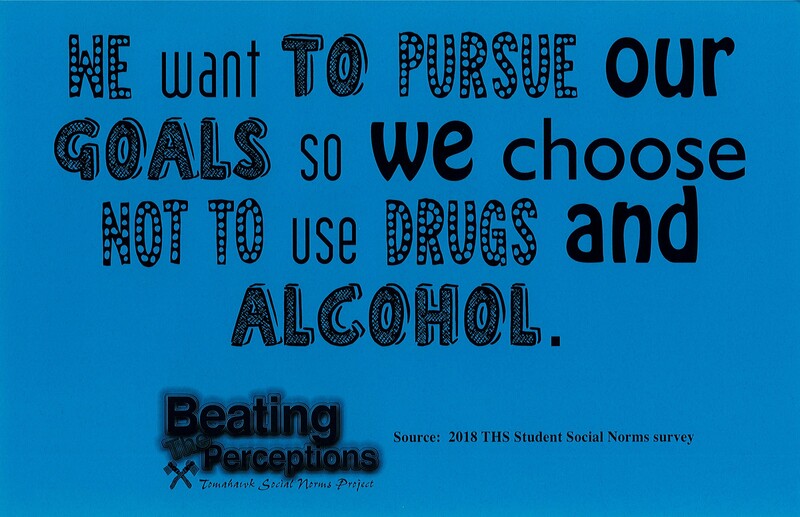 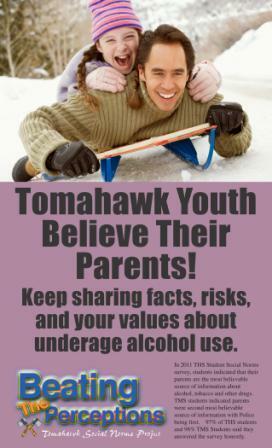 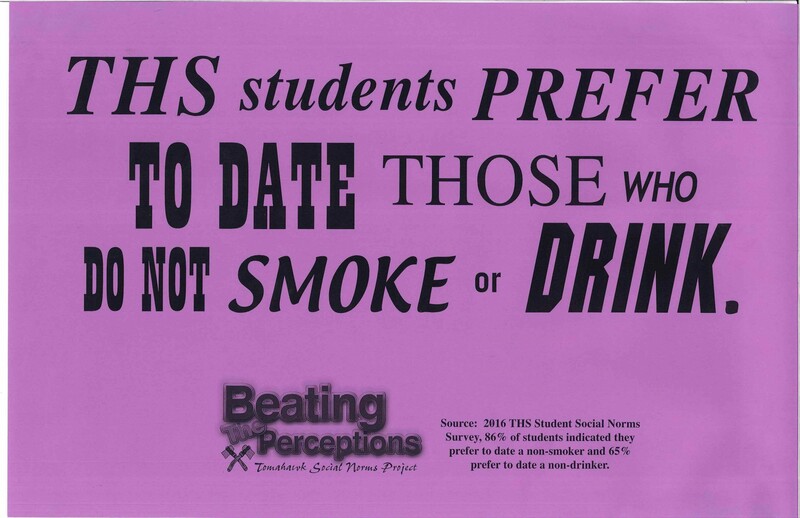 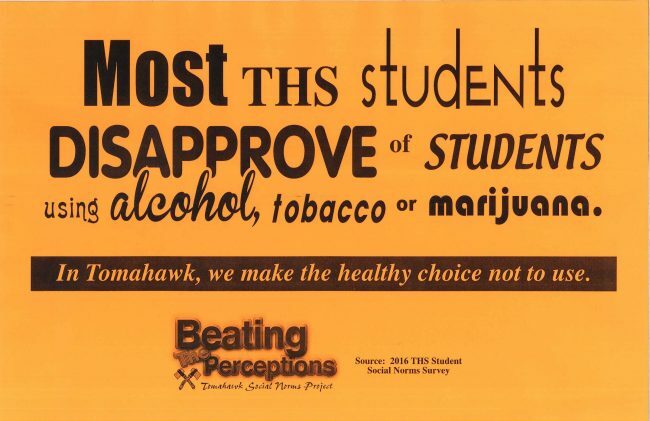 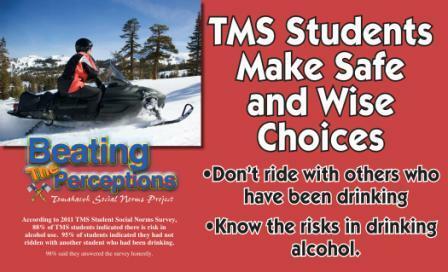 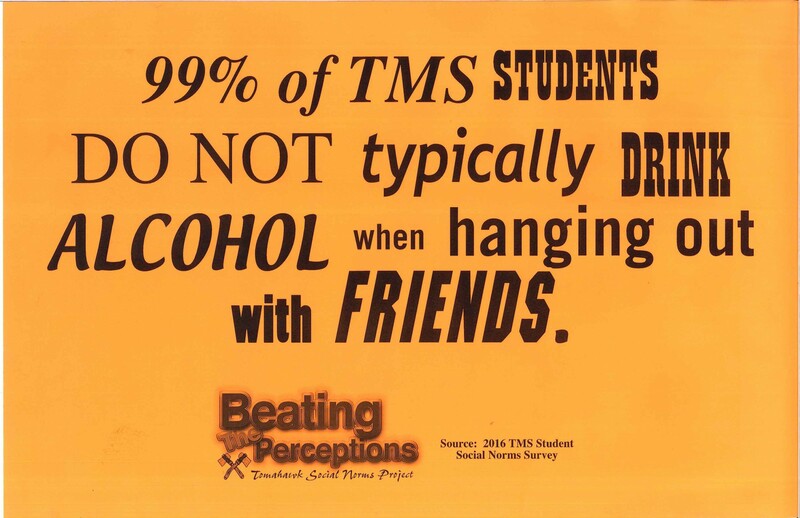 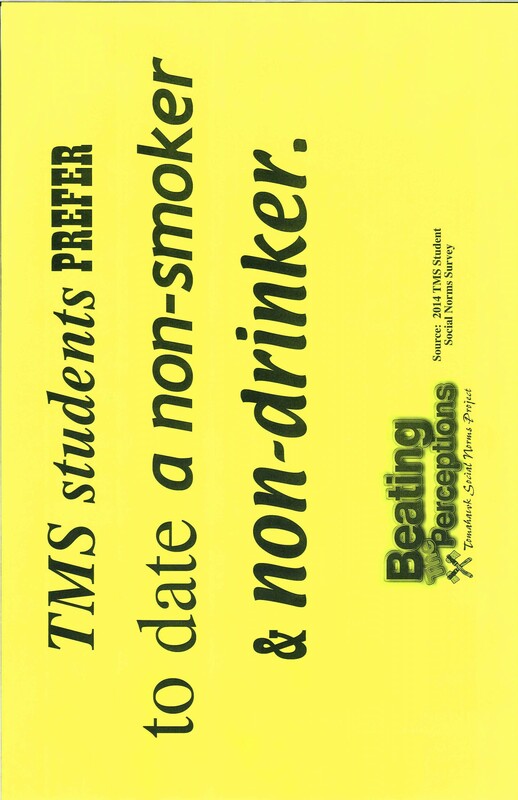 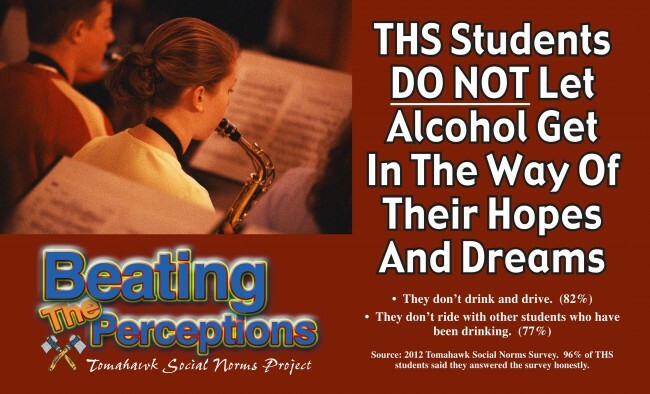 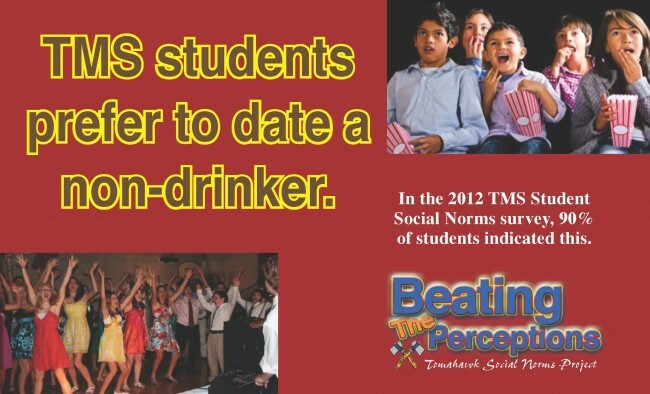 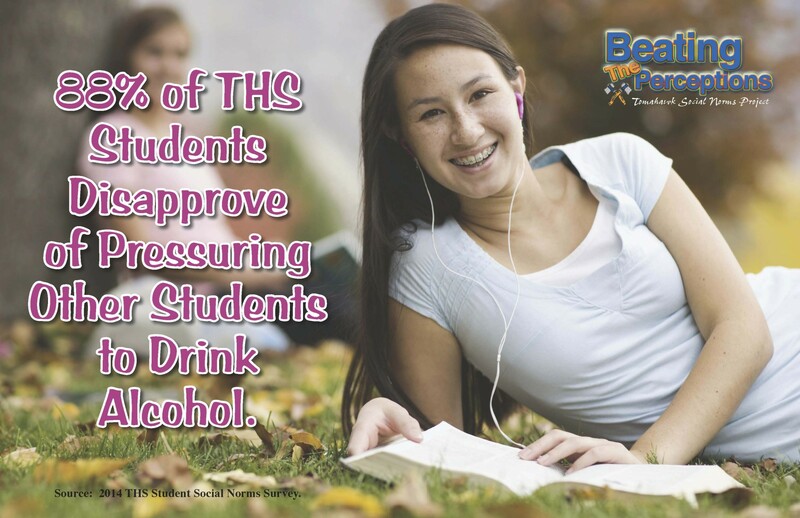 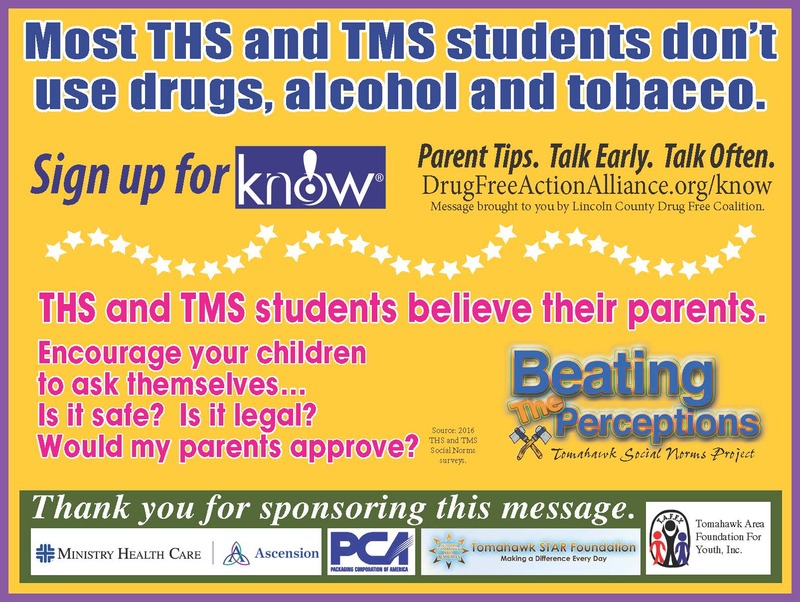 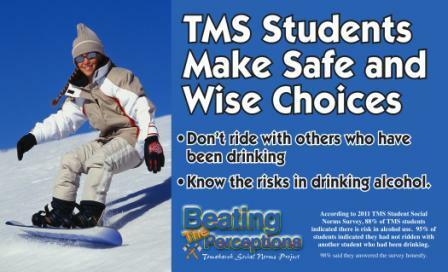 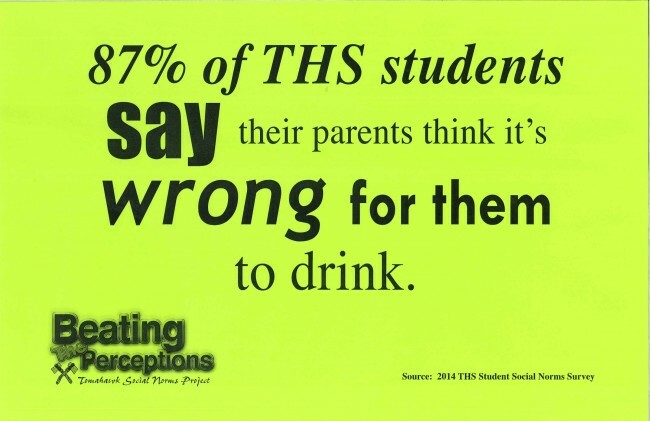 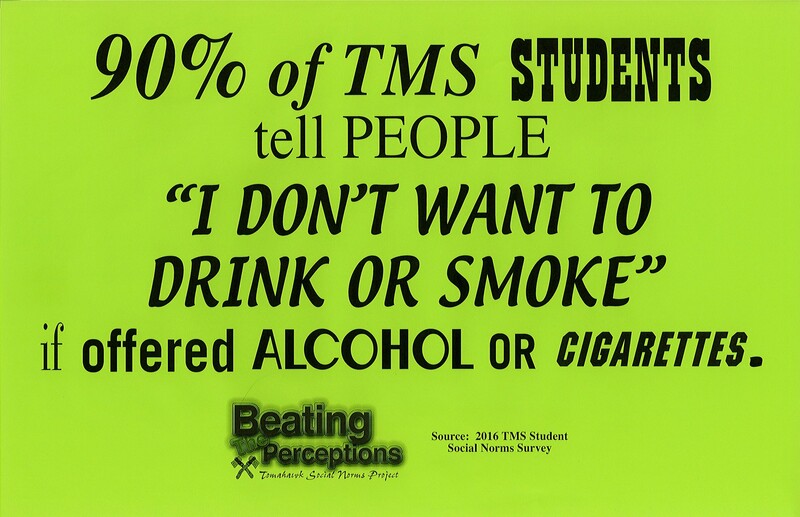 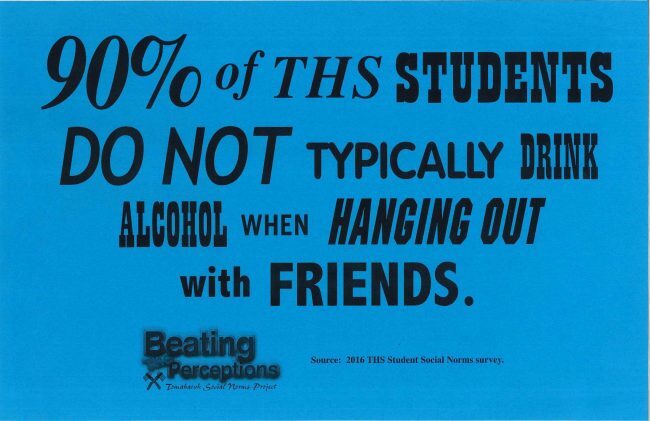 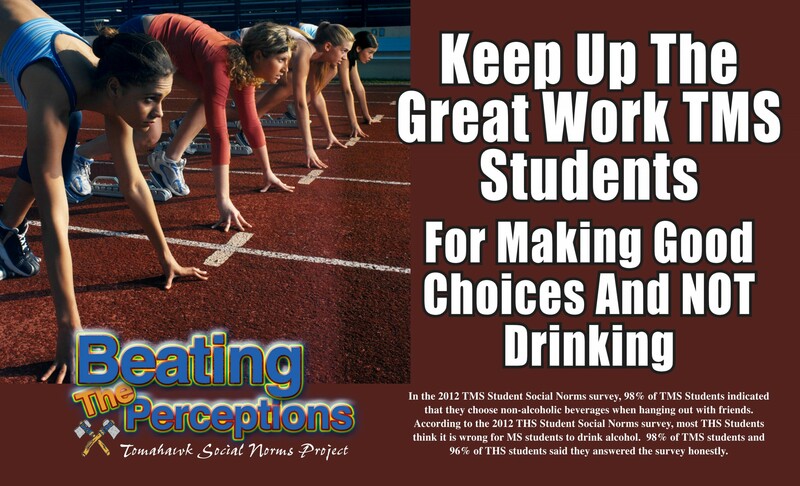 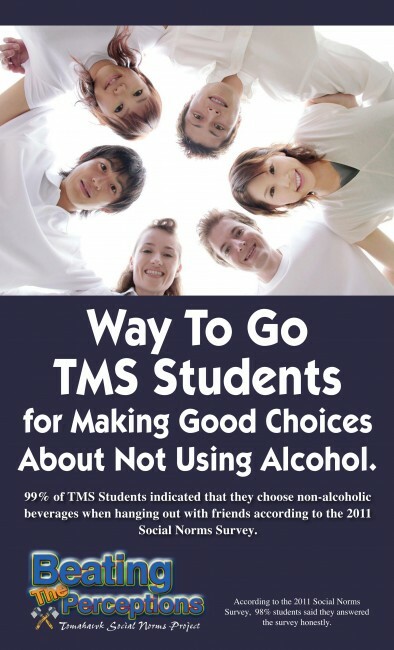 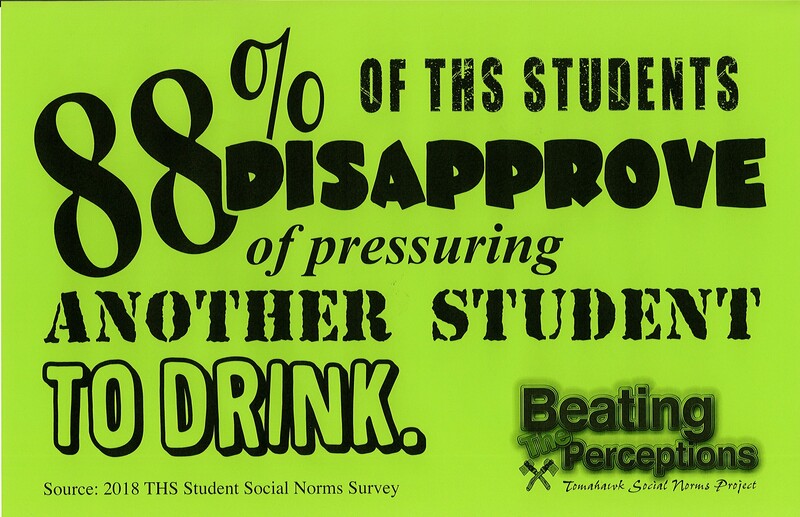 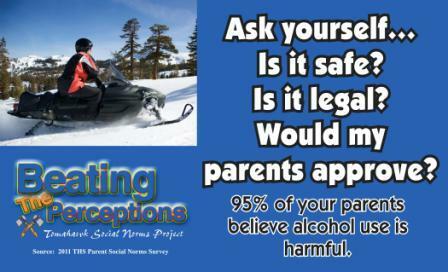 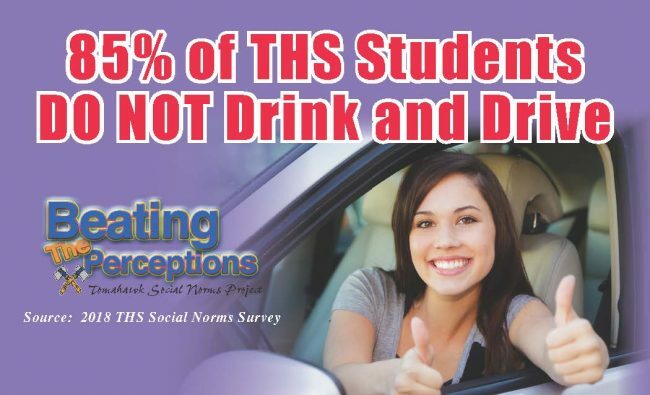 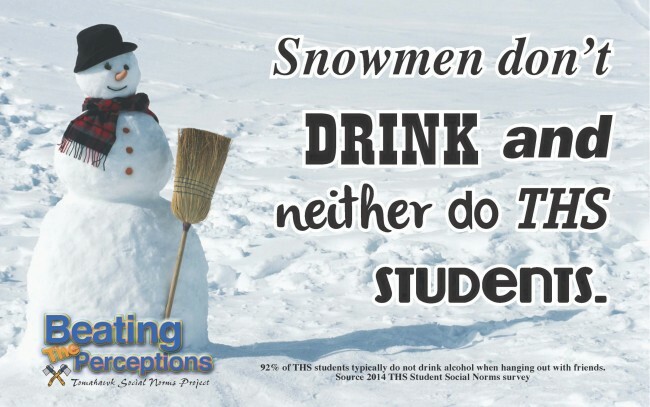 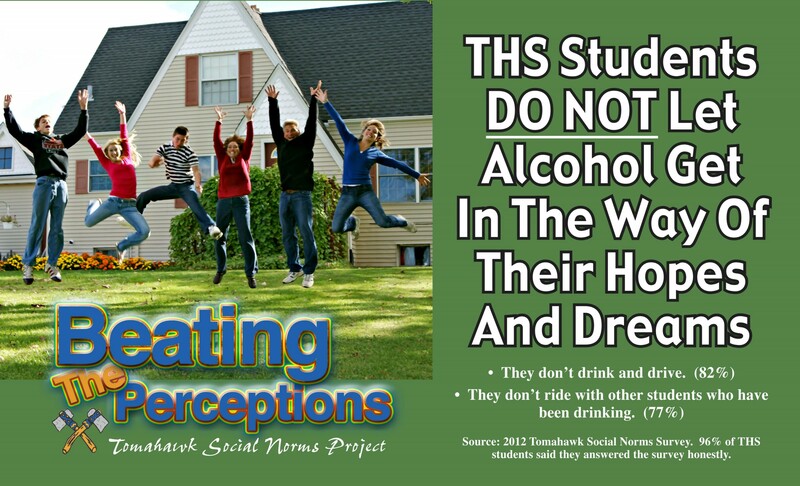 From 2010 to 2016, there was an important reduction of perception of alcohol and tobacco use among Tomahawk High School students as measured by a decrease in perception of alcohol as the typical socializing beverage (30% to 19%), perception of students driving after drinking (90% to 64%), perception of students riding in a vehicle with another student who had been drinking (85% to 68%) and perception of peers who have drank alcohol (96% to 90% perceived used by typical student; 66% to 53% perceived use is normative [more than half their peers used]). Between 2010 and 2016, the actual reported 30 day use of alcohol has dropped by 16% (54% to 38%) and smoked cigarettes dropped by 11% (22% to 11%). 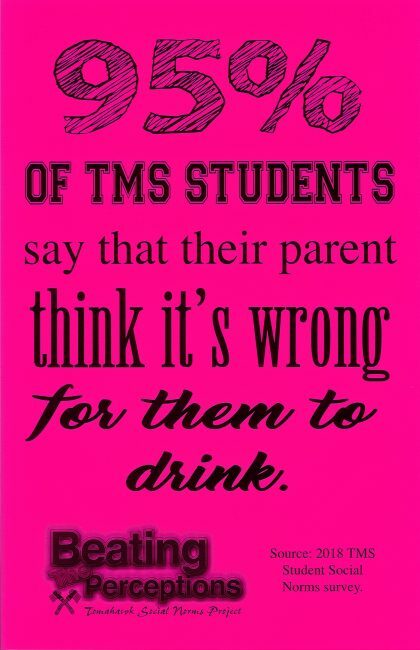 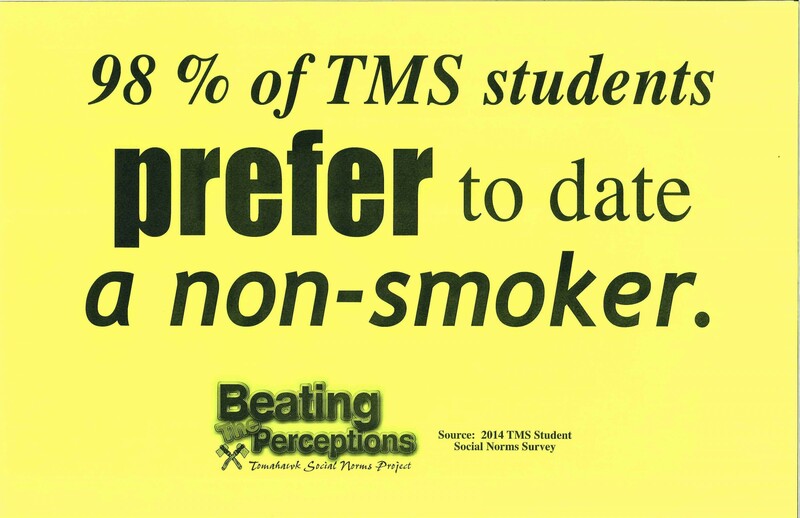 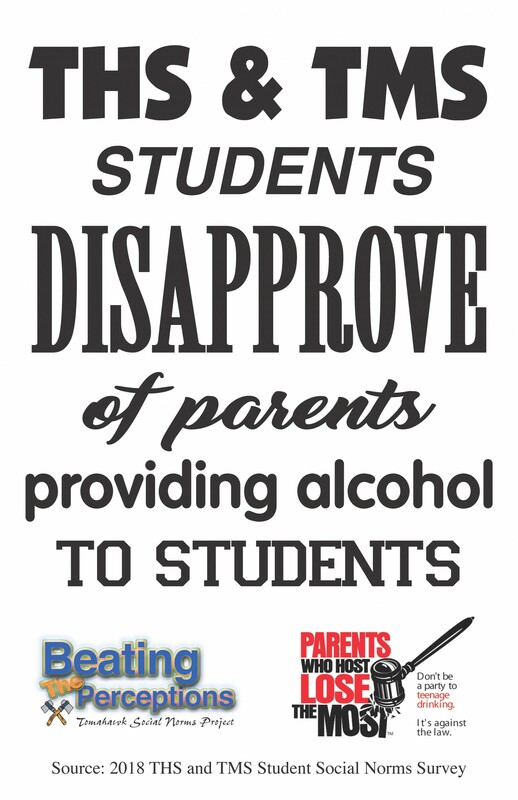 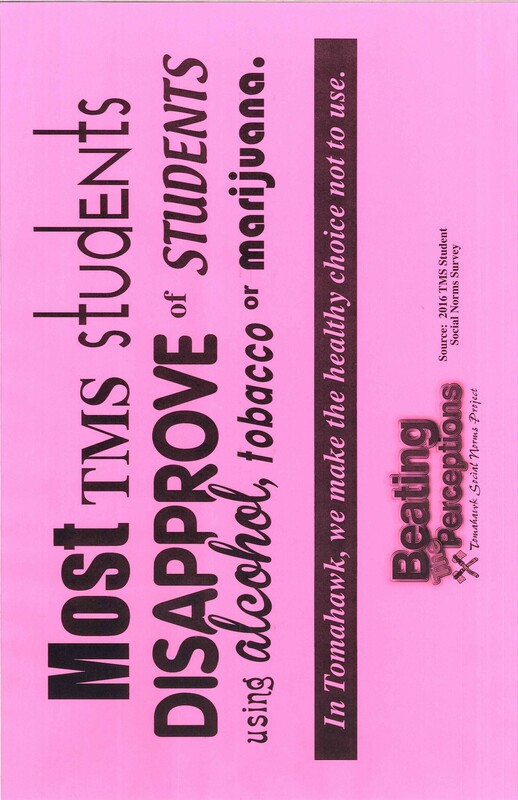 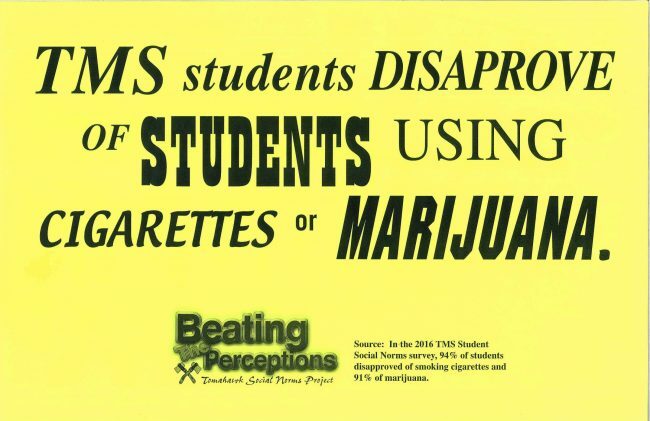 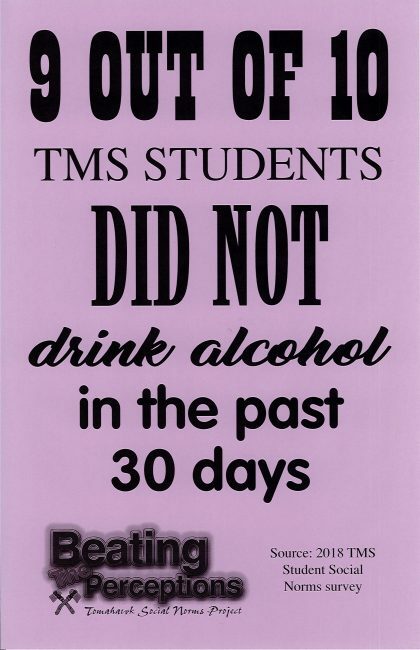 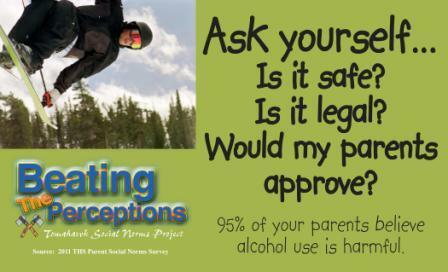 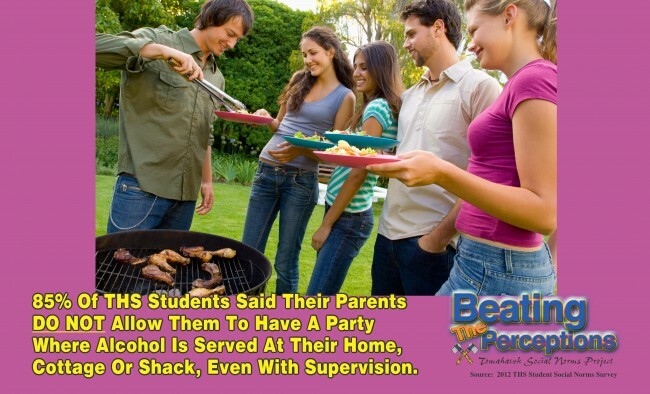 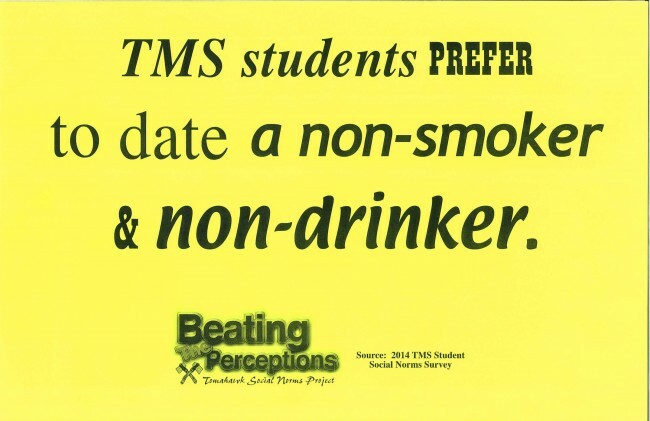 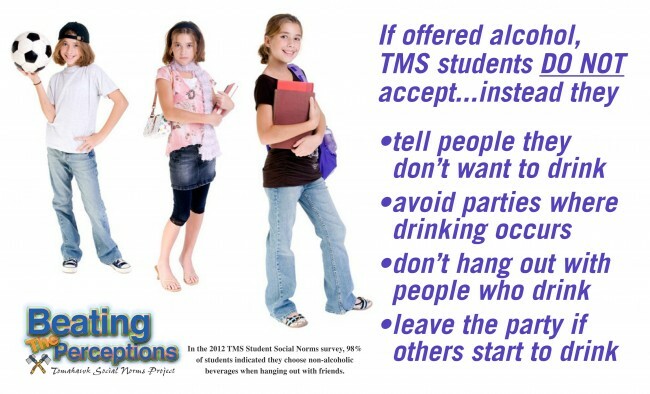 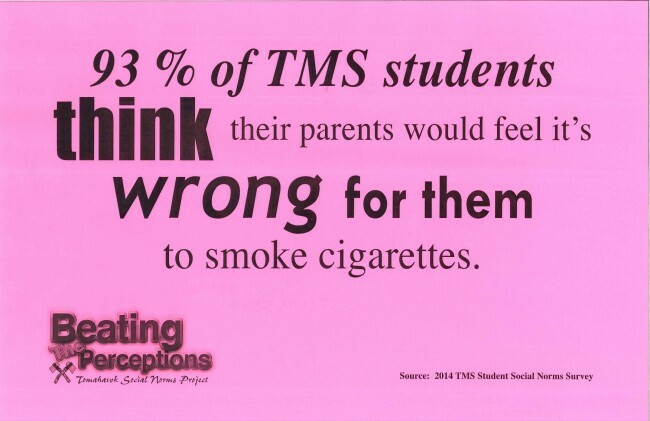 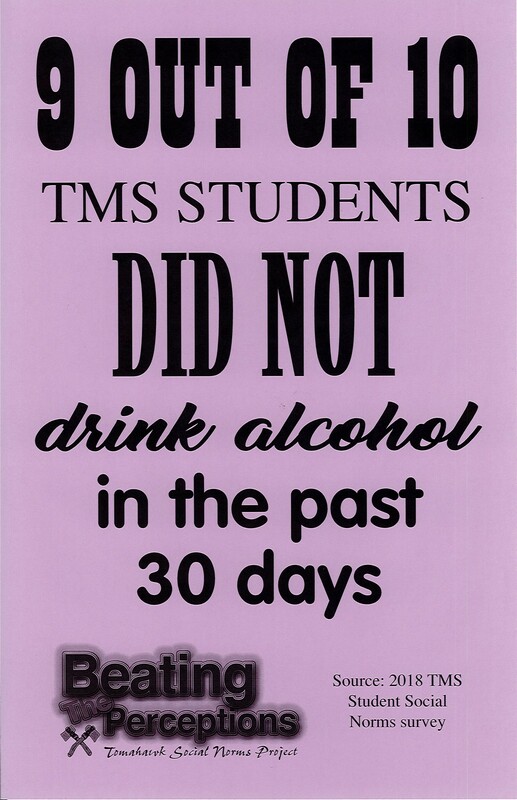 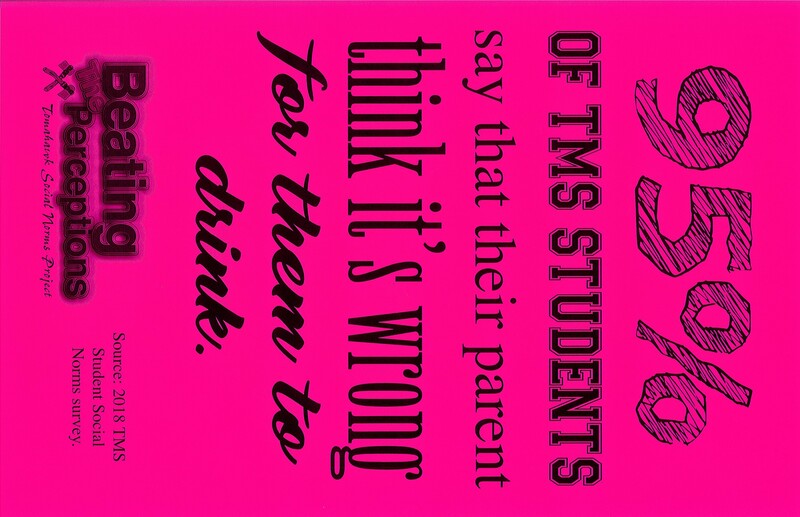 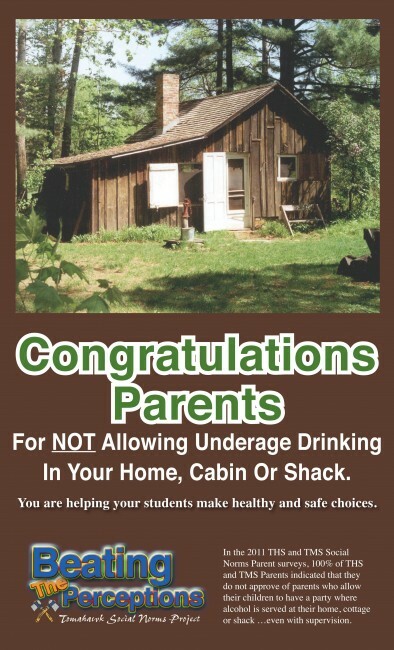 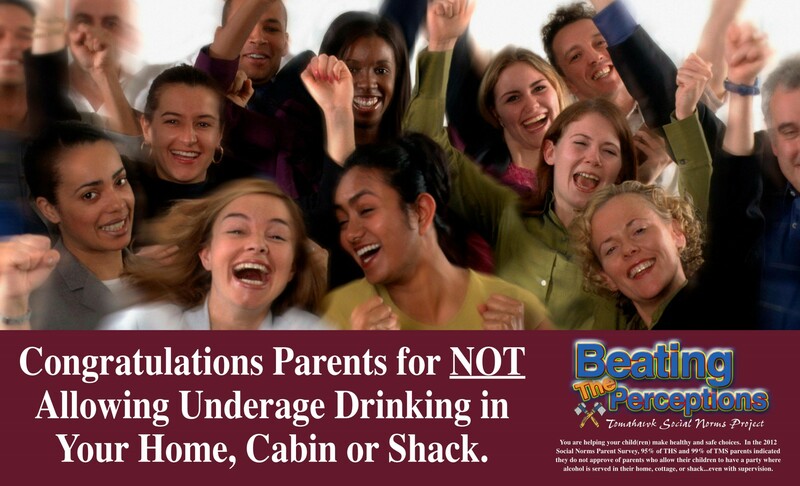 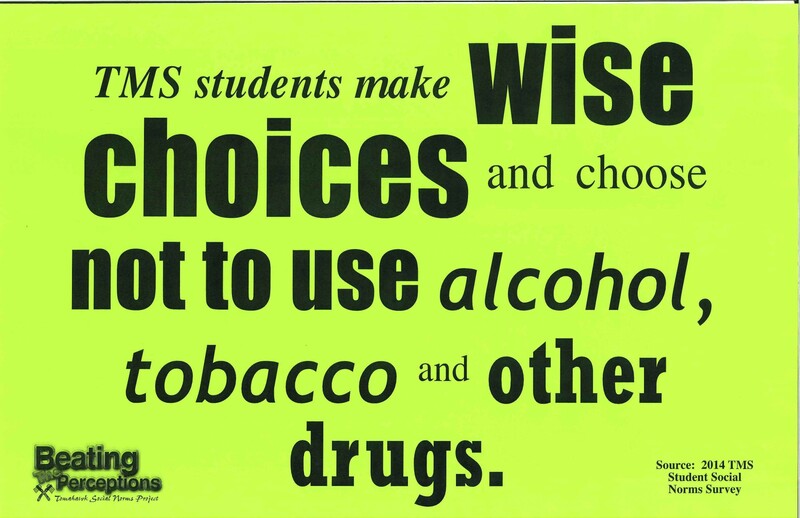 In addition the percentage of student reporting that they never tried alcohol increased by 25% (19% to 44%) or never smoked cigarettes increased by 21% (57% to 78%). 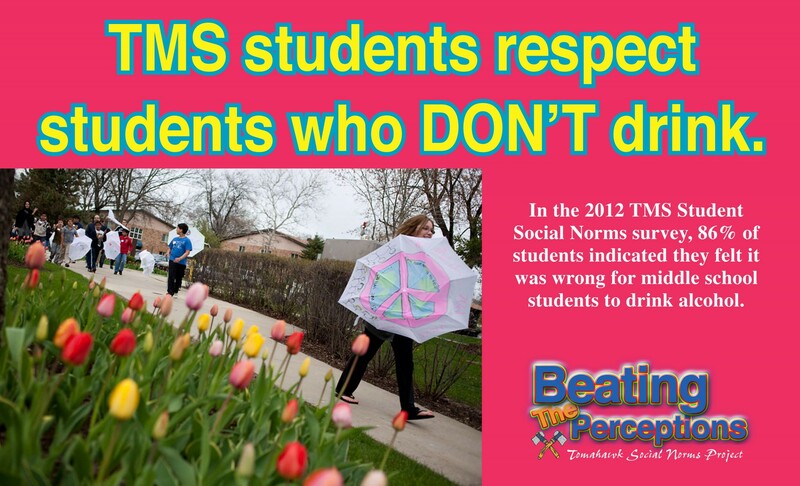 This data demonstrates that by marketing true norms we are changing perceptions which leads to an increase in healthy behaviors.